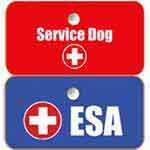 This task-specific rocker patch identifies how your service dog assists you. Our "Guide" patch is 3.5" wide and fits nicely on the top or side of a vest, shirt, or sweater. 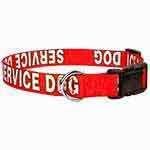 This patch may be used individually or in combination with other patches, although most handlers use one on each side of the garment. Patches are sold individually, not in pairs. This is not an iron-on patch. 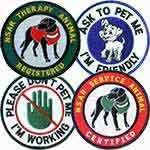 Although we recommend sewing patches onto a vest, shirt, sweater or jacket, an appropriate adhesive may be also be used. 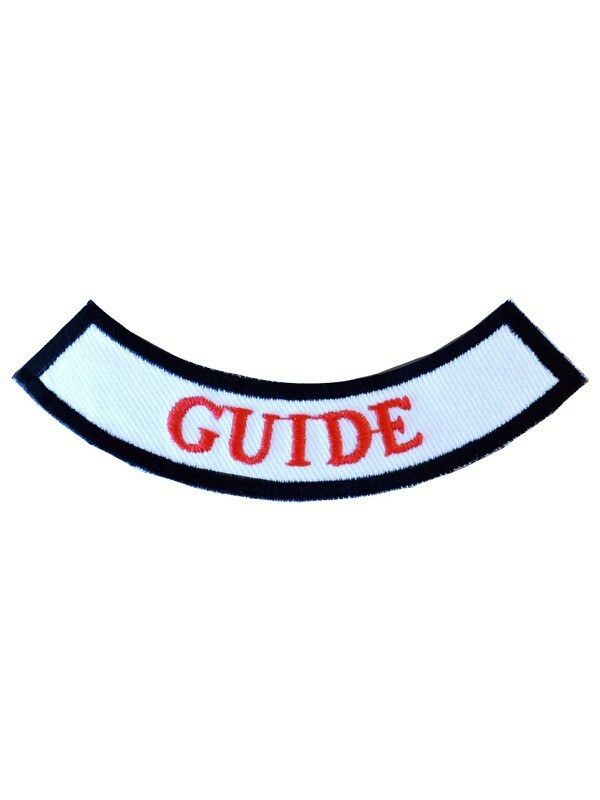 Our Guide Patch is a 3.5" wide crescent-shaped embroidered patch, lettering is White/Red with a black border, with the word "Guide". 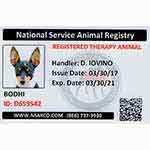 This patch can be used individually or in combination with other patches. These are not iron on patches. Patches are sold individually, not in pairs. 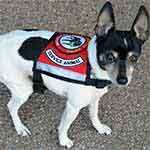 There are no laws that dictate where or how many patches should be on a vest. Most people use two of each patch, one for each side. 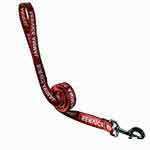 For every purchase made, a portion of the proceeds goes to helping care for homeless pets across the United States.